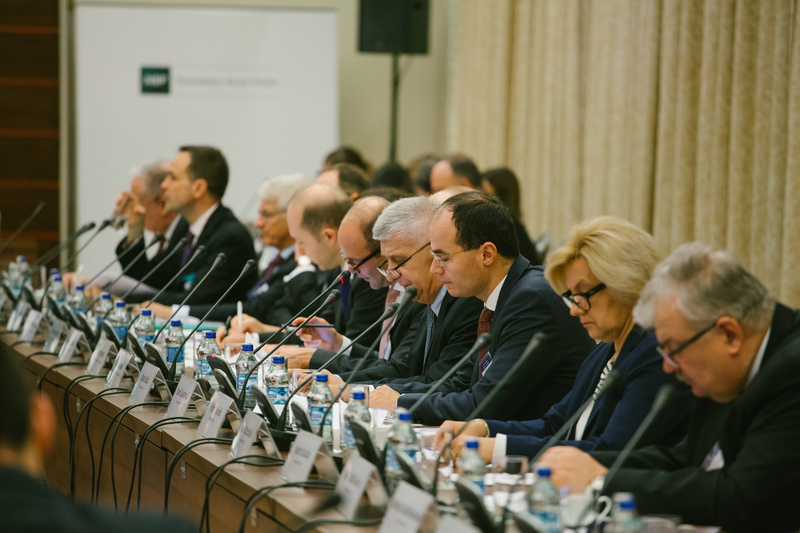 The eighth Full Forum of the Vienna Initiative assessed key achievements over the past year and proposed an agenda for future cooperation at a meeting hosted by the National Bank of Poland in Warsaw on 18 November on cross-border banking issues affecting Central, Eastern and South Eastern Europe. It supported work on ownership changes of banks and the consolidation and strengthening of banking systems in the region. It supported the approach of non-EU SEE countries to the ECB/SSM with a view to formalising supervisory coordination, building on the recently signed Memorandum of Cooperation between the European Banking Authority (EBA). It endorsed the organisation of a Ukraine-focused Vienna Initiative meeting in Kiev early 2016 to provide support to the National Bank of Ukraine on financial sector reform. It encouraged broader discussion within the Vienna Initiative framework on the uncertainty in the future size and calibration of capital requirements and regulations. It encouraged CESEE authorities to identify areas where technical assistance from the European Commission could support the implementation of Capital Markets Union priorities: the Vienna Initiative was identified as a good platform for the exchange of views in this area. It supported continued work on the Regional NPL Action Plan in light of the persistent overhang of bad loans. It supported continued work on credit guarantee schemes including discussion with SSM and EBA; and a workshop with EBA on capital relief. For more information, including a more detailed account of the conclusions reached and priorities set by the Forum, please click on the links below.